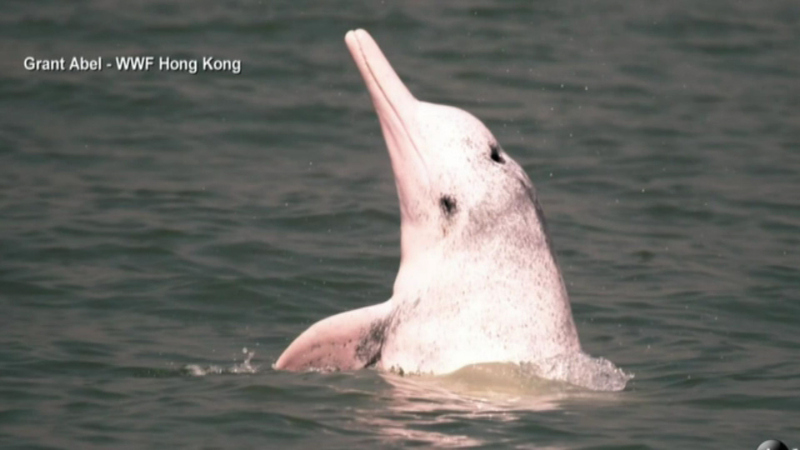 Hong Kong's iconic pink dolphins are in danger of extinction. HONG KONG (WLS) -- Hong Kong's iconic pink dolphins are in danger of extinction. The Chinese white dolphins are famous for their pink coloring, but now, experts say their populations are decreasing due to a shrinking habitat. In the waters off of Hong Kong, their numbers have declined to 62, compared to 158 back in 2003. Experts cite five main factors for the declining dolphin population: coastal development, water pollution, underwater noise pollution, vessel collision and overfishing.